ROME, May 4 2018 (IPS) - Soil pollution is posing a serious threat to our environment, to our sources of food and ultimately to our health. The Food and Agriculture Organization of the United Nations (FAO) warns that there is still a lack of awareness about the scale and severity of this threat. FAO released a report titled “Soil Pollution: A Hidden Reality” at the start of a global symposium which has been taking place 2-4 May, 2018 at FAO headquarters, participated by experts and policymakers to discuss the threat of soil pollution in order to build an effective framework for a cohesive international response. Background: What is soil pollution? “Soil pollution refers to the presence of a chemical or substance out of place and/or present at a higher than normal concentration that has adverse effects on any non-targeted organism. Soil pollution often cannot be directly assessed or visually perceived, making it a hidden danger” states the FAO report. As a “hidden danger” right below our feet, soil pollution turns out to be underestimated affecting everyone – humans and animals. The FAO report warns that this dangerous phenomenon should be of concern worldwide. Its consequences are not limited to the degrading of our soils: ultimately, it also poisons the food we eat, the water we drink and the air we breathe. Soil pollution significantly reduces food security, not only by reducing crop yields due to toxic levels of contaminants, but also by causing crops produced from polluted soils unsafe for consumptions both for animals and humans. The Global Symposium on Soil Pollution (GSOP18), aims to be a step to build a common platform to discuss the latest data on the status, trends and actions on soil pollution and its threatening consequences on human health, food safety and the environment. The report prepared by FAO shows how the Sustainable Development Goals (SDGs) are deeply linked with the issue of addressing soil pollution. SDG 2 (Zero Hunger), SDG 3 (Good Wealth and Well-Being), SDG 12 (Responsible Consumption and Production) and SDG 15 (Life on Land) have all targets which have direct refernceto soil resources, particularly soil pollution and degradation in relation to food security. Furthermore, the widespread consensus that was achieved on the Declaration on soil pollution during the UN Environment Assembly (UNEA-3, December 2017) is an obvious sign of global determination to tackle pollution and its causes, which mainly originate from human activities. Unsustainable farming practices, industrial activities and mining, untreated urban waste and other non-environmental friendly practices are amongst the main causes of soil pollution, highlights FAO’s report. The FAO report is an updated benchmark of scientific research on soil pollution and it can be a critical tool to identify and plug global information gaps and therefore advance a cohesive international response to soil pollution. According to findings of the report, the current situation is of high concern. For example, the amount of chemicals produced by the European chemical industry in 2015 was 319 million tonnes. Of that, 117 million tonnes were deemed hazardous to the environment. 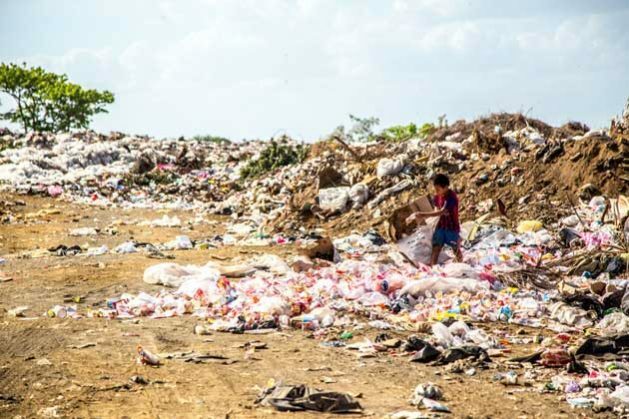 Global production of municipal solid waste was around 1.3 billion tonnes per year in 2012 and it is expected to rise to 2.2 billion tonnes annually by 2025. Some developing countries have notably increased their use of pesticides over the last decade. Rwanda and Ethiopia by over six times, Bangladesh by four times and Sudan by ten times. The report also highlights that “the total number of contaminated sites is estimated at 80,000 across Australia; in China, the Chinese Environmental Protection Ministry, estimated that 16 per cent of all Chinese soils and 19 per cent of its agricultural soils are categorized as polluted”. “In the European Economic Area and cooperating countries in the West Balkans” adding, “there are approximately 3 million potentially polluted sites”. While in the United States of America (USA) there are “more than 1,300 polluted or contaminated sites”. These facts are stunning and the international community needs to turn its urgent attention to preserve the state of our soils and to remediate polluted soils into concrete action. The report also warns that studies which have been conducted, have largely been limited to developed economies because of the inadequacy of available information in developing countries and because of the differences in registering polluted sites across geographic regions. This means that there are clearly massive information gaps regarding the nature and extent of soil pollution. Despite that, the limited information available, is enough for deep concern, the report adds. “The more we learn, the more we know we need cleaner dirt,” said FAO’s Director of Communication, Enrique Yeves, confirming the urgency of the UN agency to address the issue of soil pollution as soon as possible. Concern and awareness over soil pollution are increasing worldwide. The report highlights the positive increase in research conducted on soil pollution around the world and fortunately, determination is turning into action at international and national levels. Soil pollution was at the centre of discussion during the Fifth Global Soil Partnership (GSP) Plenary Assembly (GSP, 2017) and not long ago, the UNE3 adopted a resolution calling for accelerated actions and collaboration to address and manage soil pollution. “This consensus” highlights FAO’s report, “achieved by more than 170 countries, is a clear sign of the global relevance of pollution and of the willingness of these countries to develop concrete solutions to address pollution problems”. FAO’s World Soil Charter recommends that “national governments implement regulations on soil pollution and limit the accumulation of contaminants beyond established levels in order to guarantee human health and wellbeing. Governments are also urged to facilitate remediation of contaminated soils”. “It is also essential to limit pollution from agricultural sources by the global implementation of sustainable soil management practices”. These recommendations need to be adequately addressed both at international and national levels, in line with the 2030 agenda.